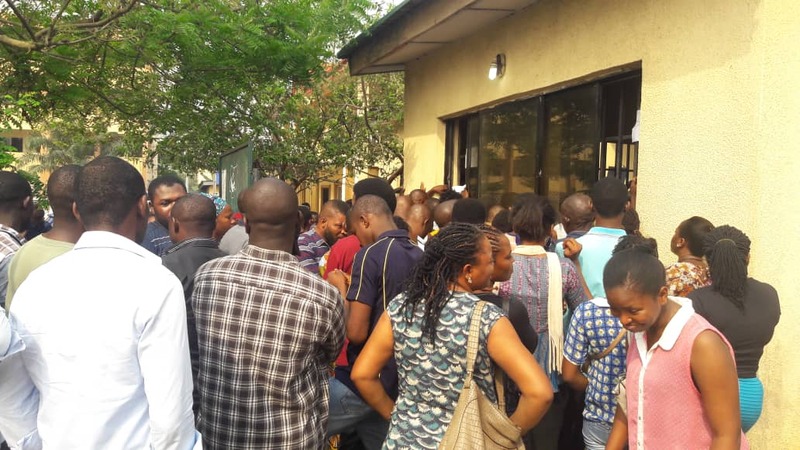 The Local Government Area offices of the Independent National Electoral Commission (INEC) in Lagos State were a beehive of activities on Monday as prospective voters in a last minute rush to beat the deadline set for the collection of their Permanent Voters Card (PVC). The Independent National Electoral Commission (INEC), the electoral umpire, had extended the deadline collection of the PVCs from last Friday till Monday (today) in order to allow a large number of Nigerians collect their cards. The PVC is a requisite for a registered Nigerian voter to display before he or she is allowed to vote in any election. Newsbreak’s team of correspondents across various LGA offices of in the state, including Ikorodu, Oshodi-Isolo, Ojo and Shomolu LGAs, reported that there was a high turnout of prospective voters, all aiming to collect their PVCs. 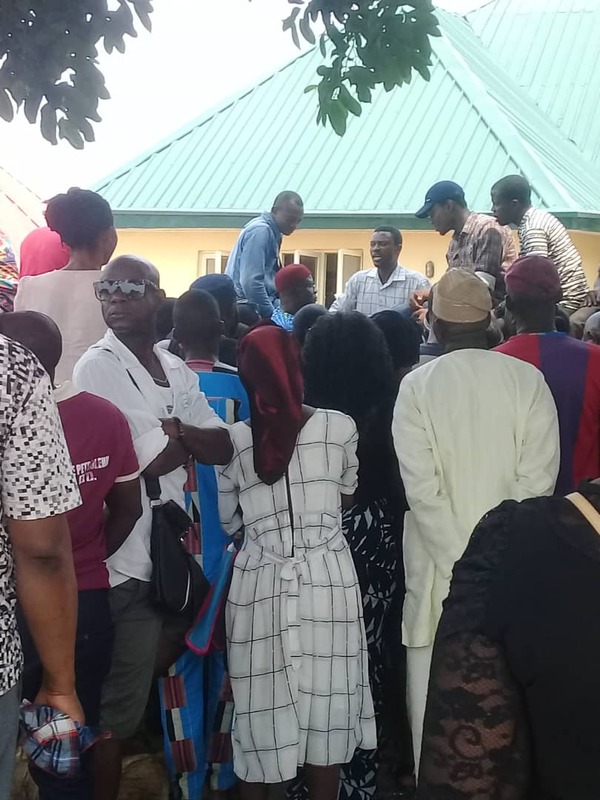 At the Ojo LGA office in Igbede, our correspondent noted that there was a sharp contrast to the collection process on Friday as the atmosphere was very calm today, with the voters on queue listening to their names being called out by INEC officials. 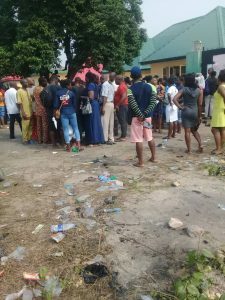 Some of the people who spoke with Newsbreak expressed their relief after collecting their PVC. Emmanuel Ajieh said:” I can go and relax now after the stress of last week,” he said. He went on to state that he is undecided whether he will vote on Saturday. “Whether I will vote is another thing because I don’t think I want to go through another stress,” he said. And despite the issuing of PVCs, Newsbreak can authoritatively report that some persons were seen giving money to an unidentified man to help hasten the collection of their voter’s card. After spending some time inside, the man came out to give out the PVCs to those he had collected money from. An unsuspecting man confirmed to our correspondent he paid N500 to the man in question. He also suggested to the Newsbreak correspondent, who he thought wanted to get his PVC, to meet the man in order to help him out. “I will advice that you meet him so that he will help you get your PVC except you are not in a hurry,” he stated. At the Shomolu LGA office, INEC officials were seen coming out to collect the temporary voters’ card from prospective voters but failed to come out with the PVC till over two hours. 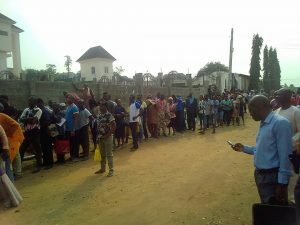 The office area was crowded as prospective voters waited patiently with the hope of collecting their PVC before the end of the day. 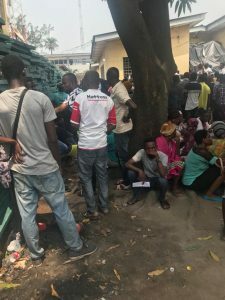 One of the persons on queue told Newsbreak that she had been at the office since morning and that the office only comes out to call the numbers of people but never returned with the PVC as expected. 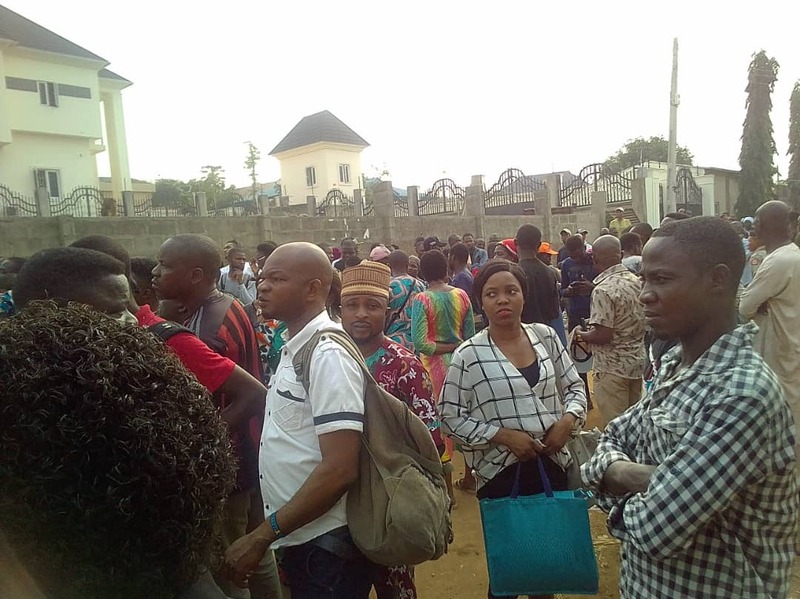 A man, who identified himself only as Chris, said out of about 800 plus name that were submitted by persons standing on the queue, the INEC officials had been able to attend to only about 100 at past 2 pm. “Today is the last day; if they are this sluggish how will they be able to attend to everyone today. 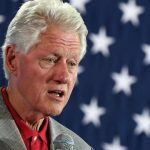 I’m sure they don’t want everyone to vote so that they can rig the election,” he said. 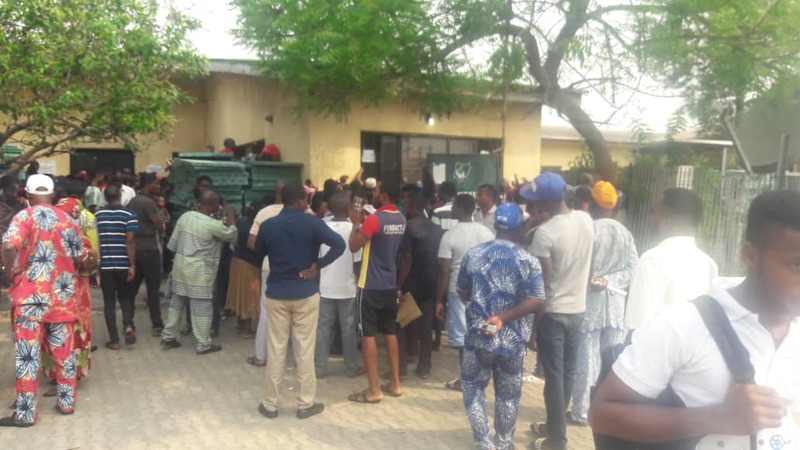 Prospective voters who besieged the Ikorodu LGA office could not hide their disappointment with INEC, as some of them dubbed the electoral commission as being “irresponsible”, adding that it was “incapable” of conducting a free and fair 2019 general election. The situation at the INEC office in Ikorodu began in an orderly manner with a military officer controlling the crowd on the queue. But it got out of control when the crowd protested the slow movement of the queue and rushed towards the gate of the office annex. 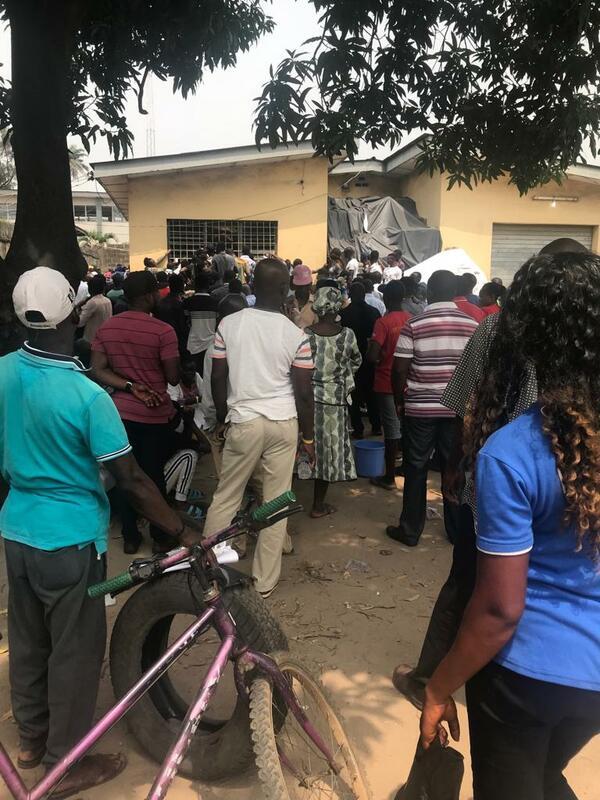 The residents, some of whom could not still collect their PVC on Monday, despite a three-day extension period, told Newsbreak that the electoral body was deliberately disenfranchising them. A headcount done by correspondent revealed that about only one out of three people in a group of 50 persons allowed to move into the office at a particular time were able to collect the PVC. Hakeem Dauda claimed his friend who registered at the same time he did in 2013, had been issued the permanent card, while INEC told him to come back after the election. “I have been here since 7 am. This is my fourth time of coming to INEC office since last week Monday. They said the permanent cards of some of us who registered between 2011 and 2015 are not ready. They said we should come back after the election. So what’s the use after all,” he lamented. Another person, Rosaline Olalamo, said INEC wrote the wrong date relating to the issuance of her temporary card, noting that the issue is giving her problem. According to her, she registered in 2017 but the machine printed 2018, saying INEC told her it is difficult to trace her permanent card. Eunice Okafor, who was able to collect her PVC after three months, accused INEC Ikorodu been unorganized. “INEC is not organized. Look, I’ve been on this thing for three good months. It is not visa, just to perform my civic duty. This is sad. They are not as organized as they used to. I don’t know if it is because Jega left there or something, “ she stressed. 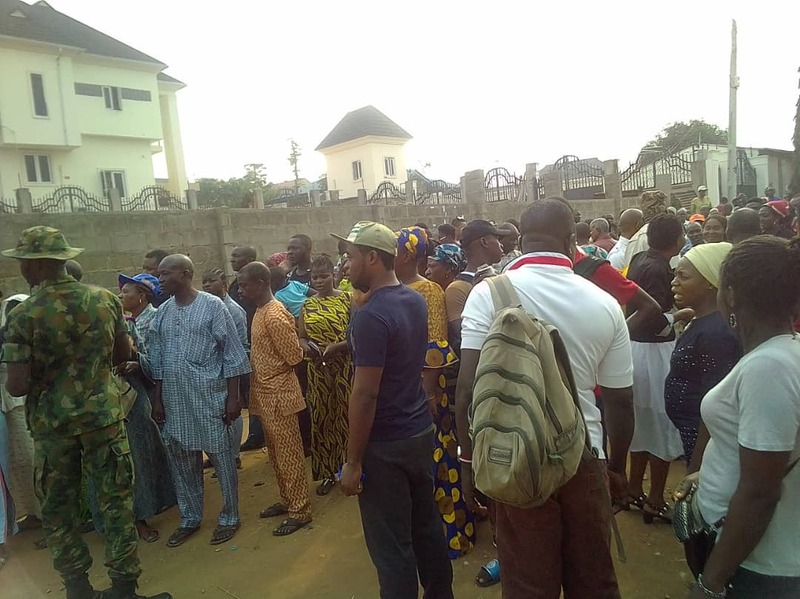 A 70-year-old resident, Jimoh Olowo, who could not collect his card, said INEC should have maintained how it was conducting elections in time past. “At my age, see what I’m being made to go through. INEC should have maintained how they conducted elections before now. We don’t have to go through this kind of stress.If civilization does not favour us, we should leave it. I have been coming here for my PVC for two weeks now, up till now, no hope. It’s like they don’t want us to participate in the election, “ he alleged. Shina Samson, who was also not been able to collect his permanent voter’s card since 2011, claimed the chaos was a process of rigging the election. “This is where rigging starts. INEC is aware that voters education has improved, so they are afraid of something. They are (an) incompetent set of people. Look at the crowd, see how people are been systematically disenfranchised and disrespected. People left their daily activities to perform their civic duty and this is what they get,” he said angrily. 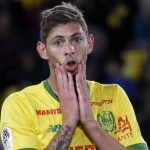 A jubilant woman, who simply gave her name as Titi, said she came with her friend’s baby before she was given consideration by the security agents. “If not that I came with my friend’s six months old baby, I wouldn’t have been able to collect today,” she noted. The people further alleged that one of the police officers deployed to the area, named Alao Solomon, was issuing cards to people over the fence in exchange for N500. The INEC head at the Local Government declined to comment when our reporter sought his comment over why some PVCs were not ready or issued. However, at the Oshodi-Isolo LGA office, our correspondent noted that not many people were present as it was on Friday. 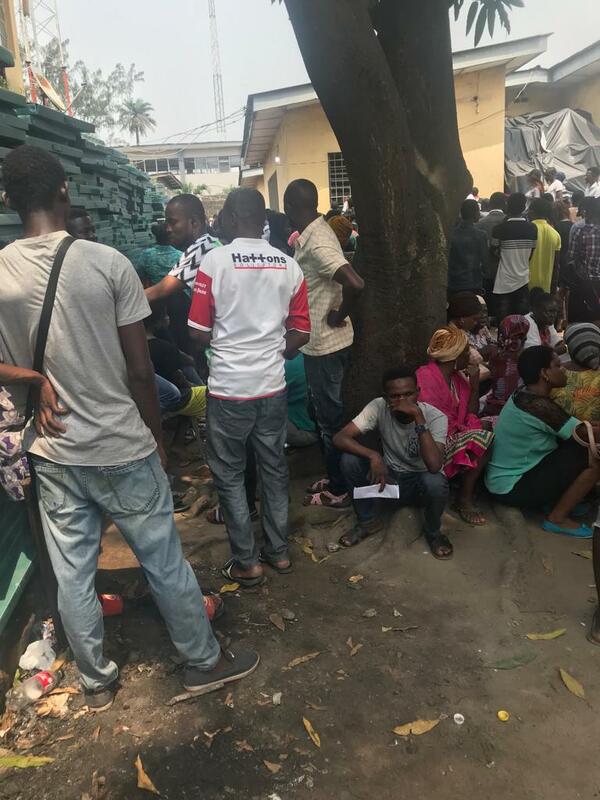 Registered voters, who spoke to Newsbreak, also accused INEC of poor organisation. “I have been here since 5:30am and I have not been attended to. They (INEC) should have taken our PVCs to the places we registered. That way, there will be no crowd at collection centres,” said Bisi Adewale, a 31-year-old trader. Another registered voter, a resident of Isolo, who identified himself as Fatai Ajibowu, said that he had registered since June last year, but was yet to collect his PVC. Deji Olayinka, another registered voter from Ejigbo area of the state, urged INEC consider extending the deadline for PVC collection. “I am always discouraged about the crowd I meet here whenever I come for the PVC collection. INEC just have to extend the deadline for the PVC collection if not many people will be disenfranchised,” said Olayinka. A woman, Juliana Idowu, said that she does not mind not voting during the election. “I feel very weak as I speak to you. I have been standing for over 3 hours and I am not. They not well organized,” she said in her pensive mood. Efforts to speak INEC officials proved abortive as they were busy attending to registered voters.